Welcome to beautiful Peru, where the Chirinos district has about 50,000 inhabitants. The district has a long history in coffee farming and on February 8th 1968, the Chirinos co-operative was born. The co-op consisted of only 20 producers back then, but it’s been nearly 50 years since and the group now boasts up to 815 members of which 193 are women. The co-operative is focussed on producing Fairtrade, 100% organic coffee. In doing so, the team at the co-op is always trying to improve their knowledge about best practice farming techniques, so they can achieve better coffee yields every year. 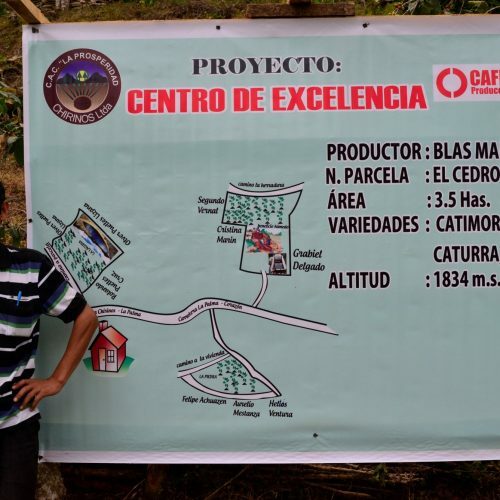 The Chirinos co-op is also part of the Centre of Excellence by the Cafédirect Producers’ Foundation, which allows the farmers to teach their best practices on to other farmers, thus increasing organic coffees for the whole region. One of the members at the Chirinos co-operative is Adbias. He’s 27 and has been working at the co-op for about 5 years. He was an accountant when he joined the business’ financial team and for the last two years he has been acting as the general manager. His parents were farmers, so when an opportunity came up at the co-op, he didn’t think twice about taking the job. Abdias loves both farming and learning more about coffee, so you can’t really blame him. One of the challenges of working on an organic farm is, of course, the many pests you might encounter. Last year, the Chirinos co-operative suffered from “la broca”, also known as the coffee borer beetle. It’s a very small beetle that crawls into a coffee cherry and lays its eggs there. Then, when those eggs are hatched, the larvae eat the coffee bean. Several generations of beetles can survive in the same fruit, so it’s no surprise that an affected coffee plant will be completely ruined by the time it’s ready for harvest. However, the Chirinos farm does have quite a few techniques to try and tackle this and other pests. As part of being able to be certified as a fully organic farm, each year the farm needs an entire end-of-year cleaning. This means that the whole farm will be thoroughly cleaned from top to bottom. This significantly reduces the risk of any pest to be able to grow out of control. In addition, the farmers also lay out traps for any common pests, such as the coffee borer beetle. And where traps don’t work, the Chirinos co-op uses an organic mushroom-based spray, which prevents the insect from penetrating the coffee cherry. 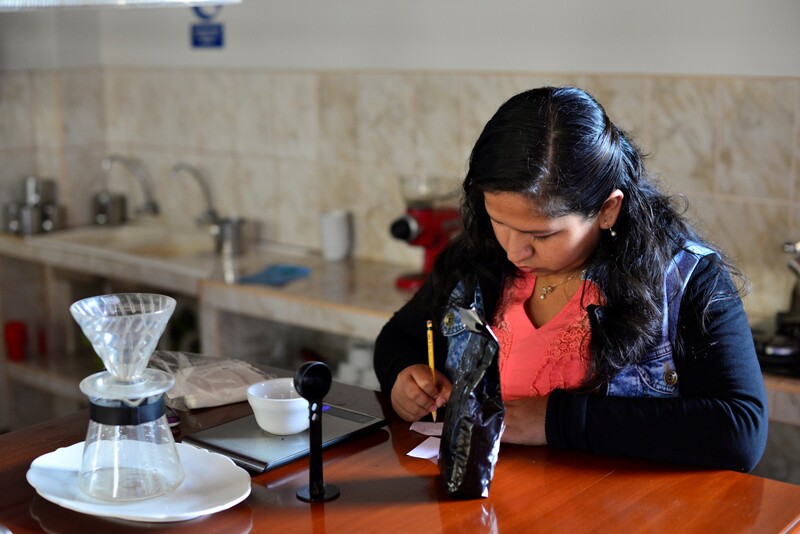 As part of receiving a fair price for their crops, the farmers at the Chirinos co-operative also receive a Fairtrade premium which they can spend how they see fit. Every year, the farmers split the money across three categories: materials and supplies for the farms, education and scholarships for children and re-investment in the co-op itself. Especially the re-investment in the co-op itself is important, as the harvest months require a lot of upfront capital to continue production. And because banks in Peru don’t give out loans to farms, the extra investment in the co-op is meant to cover that period’s extra outgoings. 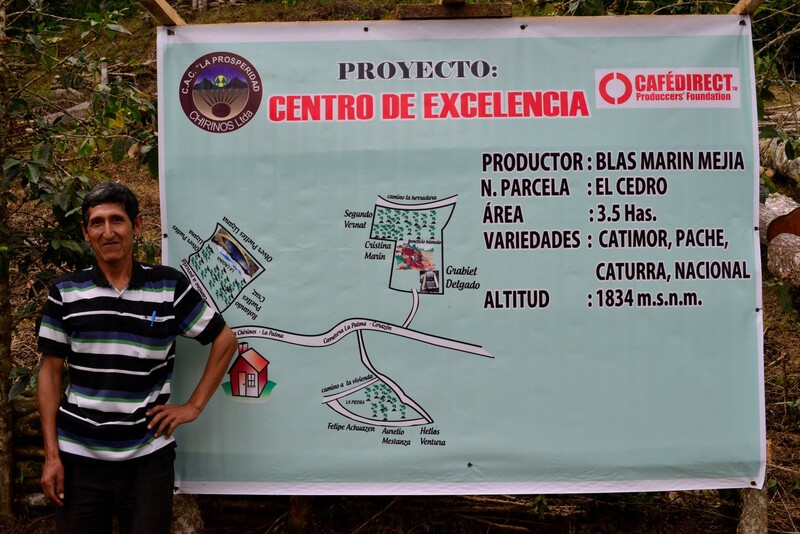 Without it, farmers in Chirinos would really struggle to make ends meet and continue in coffee farming! Across the coffee world, the average age of a farmer is rapidly increasing. Not counting the 27-year old Abdias, the majority of farmers are getting older with a small pipeline for attracting new, young talent. However, the Chirinos co-operative has proven that it’s completely capable to attract younger people into the coffee farming world. The co-op have installed a youth committee, so as to encourage youngsters to get involved with farming from an early age. Also, there’s a driving hope that farming will soon be more entrepreneurial-based, rather than the traditional, old model of farming. In addition, at the Chirinos co-operative, young people are stimulated to try many different roles and positions within the co-operative, so as to introduce variety. This makes that a lot of the people living and working in Chirinos are motivated and eager to be a part of the co-operative, not unlike Abdias. 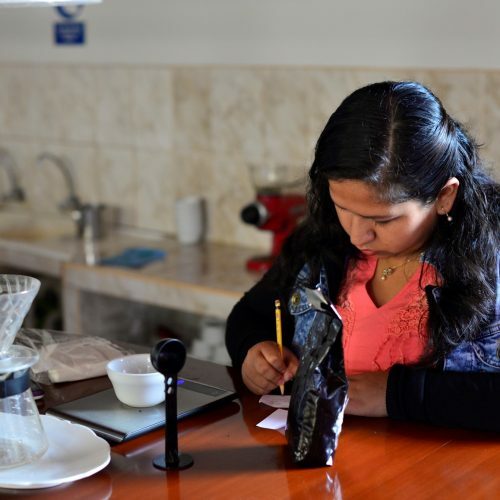 If you’d like to try some of the quality coffee made by Abdias and all the farmers at the Chirinos co-operative, then get your Cafédirect Machu Picchu single origin coffee now and enjoy a great brew!